Shoreditch promoters GASH! 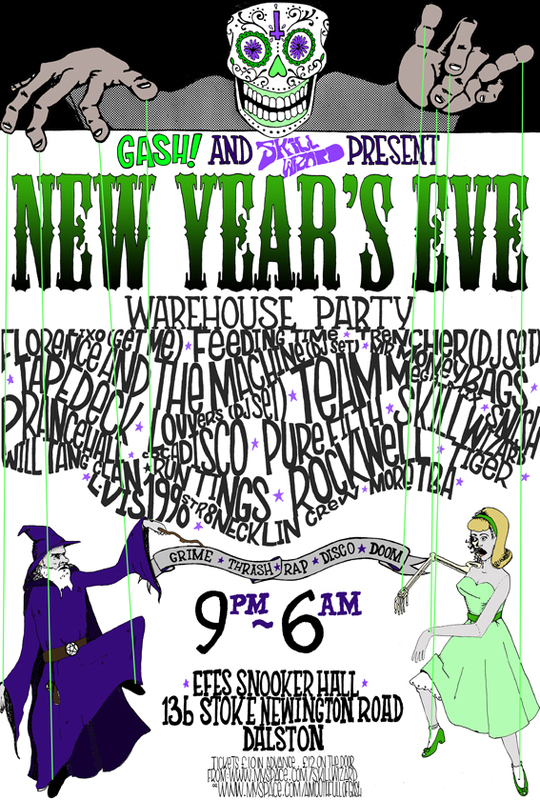 (me) and Skill Wizard have come together to put on a killer NYE warehouse party at an AMAZING new venue in Dalston. Line up includes – Tapedeck, Florence and the Machine (DJ), Cocadisco, Real Gold DJs, Lovvers (DJ), Prancehall, Team Mega Mix, Lixo, L-VIS 1990 and the list goes on..
As an early Christmas present the guys have presents for you all, in the form of two remixes from L-Vis 1990 and Tapedeck. Little rippers!